Between the Kayak Club, the resort-style pool, 13 miles of trails and endless community events, there’s an infinite amount of fun to be had within Shearwater. But if you must leave all of the excitement Shearwater has to offer, there is plenty of fun to be had in St. Johns County. 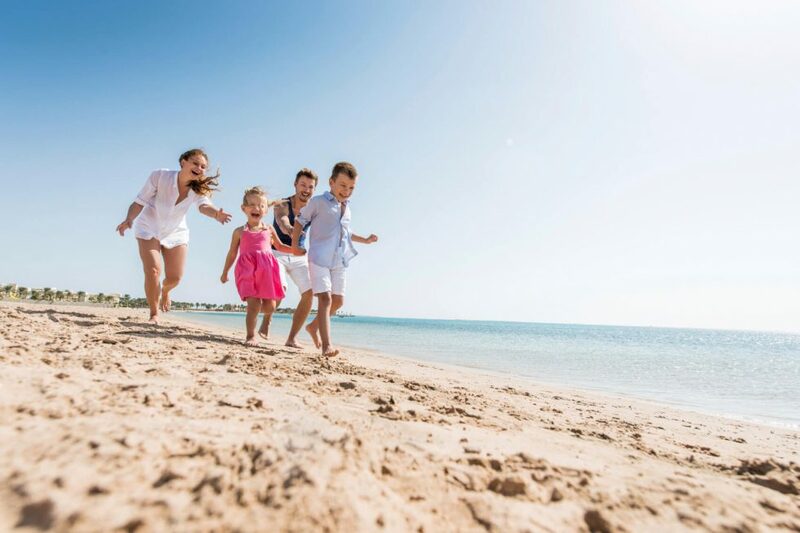 Countless activities will provide fun for the whole family, including beaches, exciting animal encounters and historic local landmarks. Here is your guide to the top family-friendly activities in St. Johns County to help you get started exploring and jump-start your adventures! Mickler’s Landing is a local favorite just two blocks east of the A1A Scenic & Historic Coastal Byway in Ponte Vedra Beach. Famous for its long stretches of pink, coquina sand, visitors can spend the day in the water, collect sea shells or hunt for ancient shark teeth. A wooden boardwalk allows wheelchair and stroller access to the beach from the parking lot, but not before passing 20-foot sand dunes and natural habitat. Bathroom facilities and outdoor showers are available onsite. Located in St. Augustine, Marineland is the world’s first Oceanarium and includes a 1.3 million gallon pool and observation area overlooking Matanzas Bay. The Marineland facility is accredited by the Alliance of Marine Mammals Parks and Aquariums for its care and training of aquatic animals. Aquatic enthusiasts will enjoy multiple opportunities to interact with marine life through engaging activities that allow visitors to touch, feed and swim with dolphins! MOSH is an American Alliance of Museums-accredited museum that is committed to promoting a life-long love of learning through interactive exhibits and educational events. Core exhibits include KidSpace with hands-on activities for children five and under, and Florida’s Naturalist Center, which is home to various plants and animals including owls, snakes, turtles, baby alligators and Tonca, the 50-year-old alligator snapping turtle. Additionally, MOSH has daily show times at the Bryan-Gooding Planetarium, one of the largest single-lens digital dome planetariums in the United States. The St. Augustine Alligator Farm is the only place in the world that has all 24 species of crocodiles in one place. Visitors will be delighted to find lemurs, Komodo dragons, exotic birds and albino alligators. If you’re feeling especially adventurous, you can go zip-lining across seven acres of exhibits, through more than 50 different obstacles. The Alligator Farm has served the public and scientific community since its founding in 1893, and is now accredited by the Association of Zoos for its education and worldwide conservation efforts. If you take a stroll down the Spanish moss-laced, tree-lined Magnolia Avenue, one of the most beautiful streets in the country, you’ll undoubtedly stumble upon the purported origin site of the city of St. Augustine. According to legend, this is the exact spot where the famous explorer Ponce de Leon discovered the fabled Fountain of Youth over 500 years ago. Today, visitors can explore the Timucua burial grounds, the recreated native villages, the lush gardens, as well as the oldest attraction in Florida, the famous Fountain of Youth. To learn more about other activities nearby, please visit our interactive area map. Eager to learn more about Shearwater? Join our Founders Club to receive news and updates about this exciting new community.